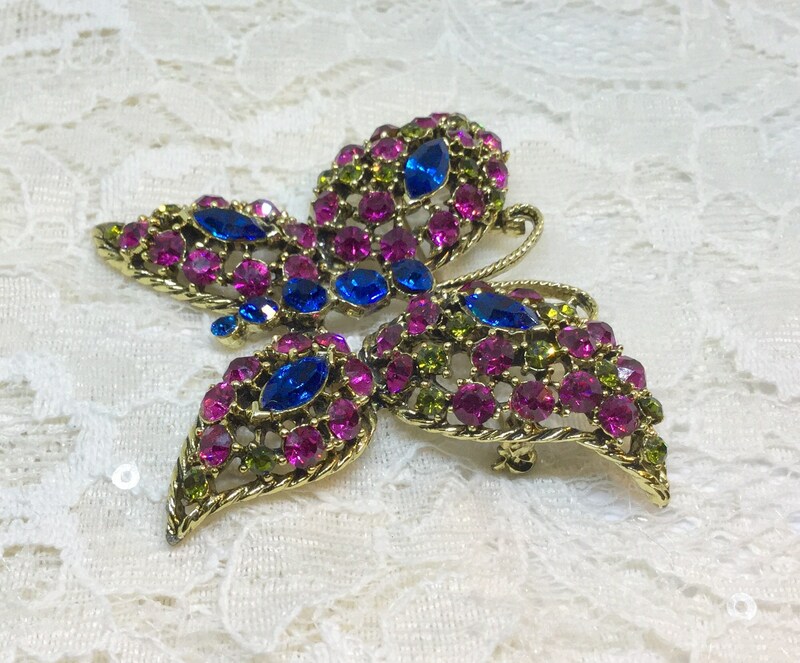 This is a vintage 1980s goldtone butterfly brooch. 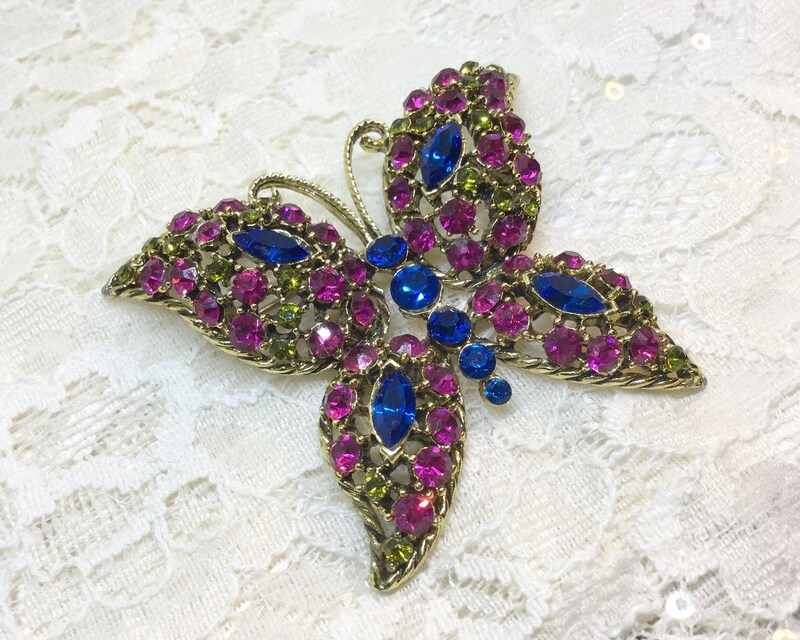 The butterfly is adorned with round fuchsia rhinestones and accented with small olivene rounds and blue navette rhinestones. The body is five graduated blue rhinestones. 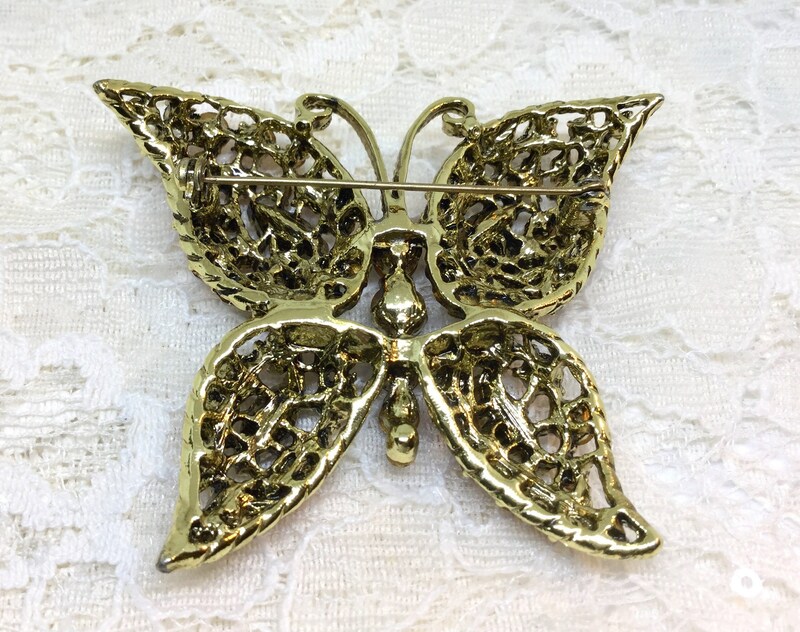 The setting is textured goldtone and it lifts each wing up into a dome. It measures 2 5/8" x 2 1/8" and the pinback is straight and closes smoothly and securely. 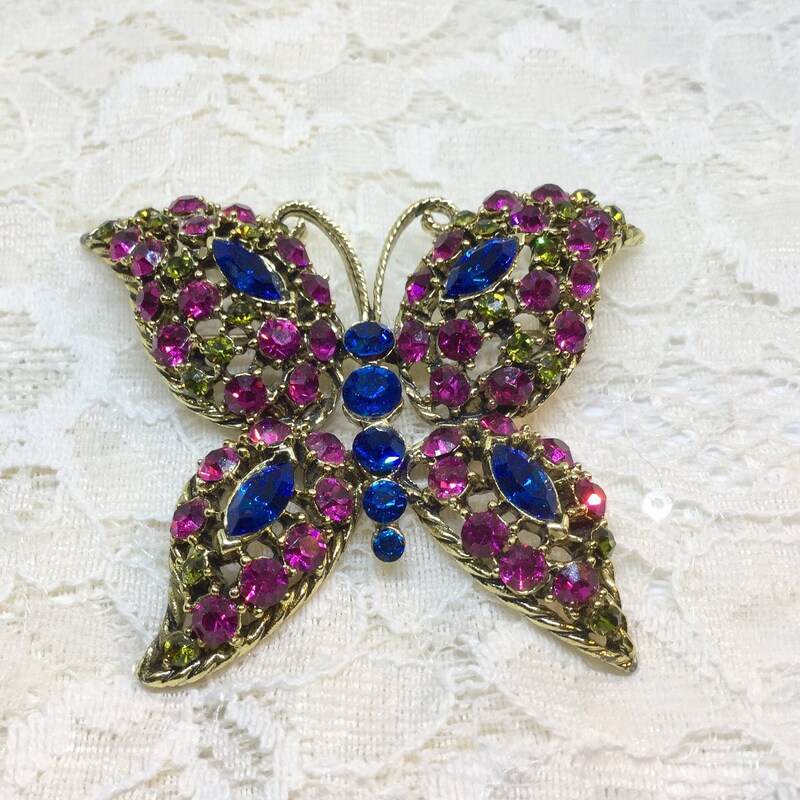 This is a wonderful butterfly brooch for butterfly lovers or as a great addition to your bridal bouquet!